Saturday Morning. 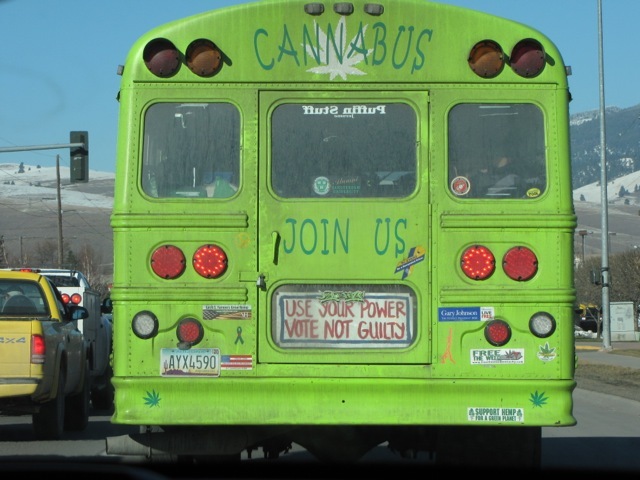 Driving around Missoula, we caught sight of this bright green bus called CannaBus. 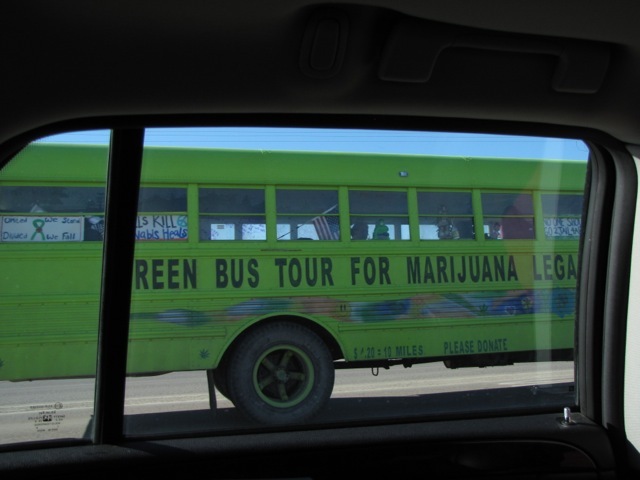 Green Bus Tour for Marijuana Legalization. I tried to get information about it but this is as far as I got. 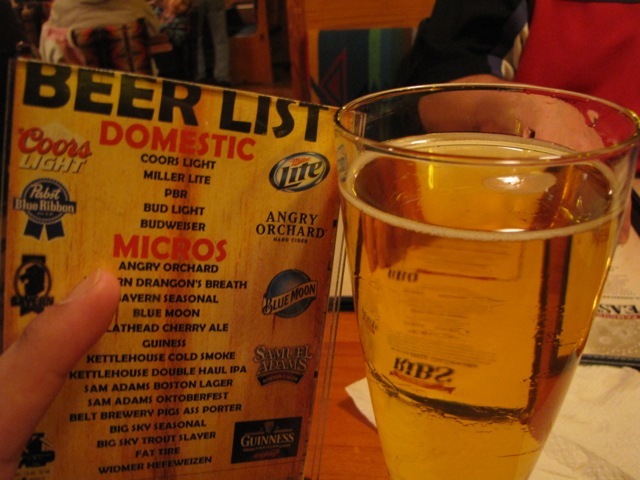 Was trying "The Angry Orchard" Beer. 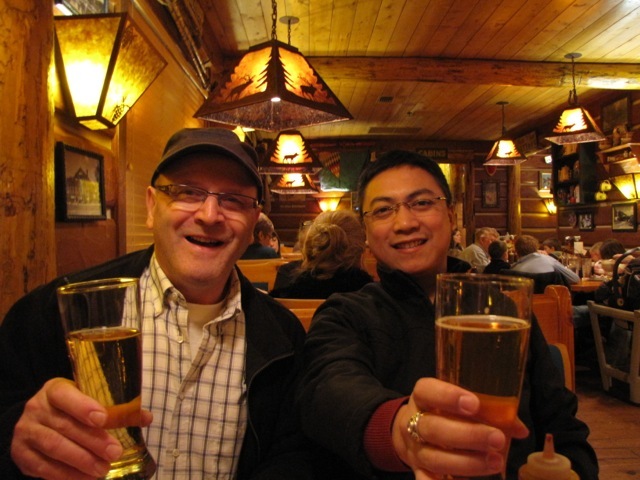 It was a different kind of beer. It tasted like white wine and Cyder. I liked it enough, but I wouldn't want too much of it. 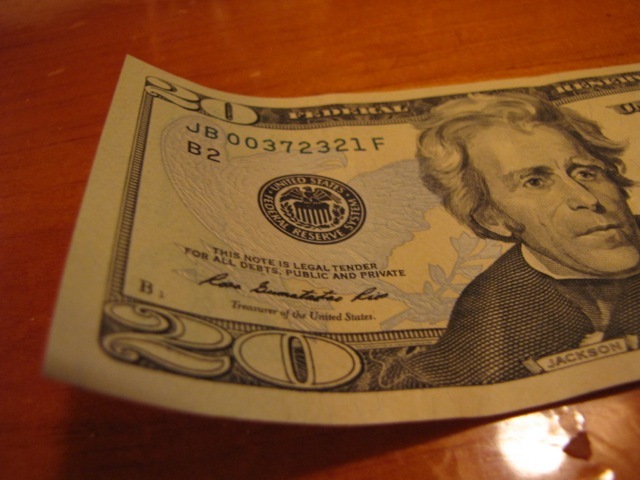 Spending in US Dollar bill. Reminds me we are no longer in Canada.